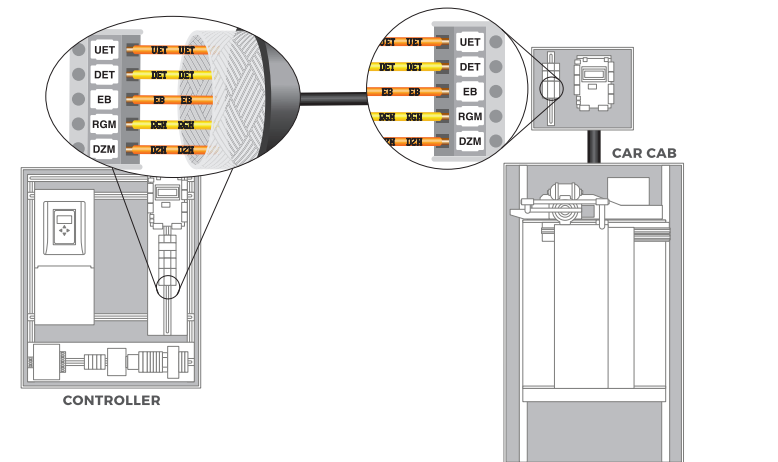 Smartrise Custom Traveler and Hoistway Cables are the perfect solution to prevent wiring errors and reduce installation times. The two types of Traveler Cable and one Hoistway Cable come pre-labeled to match the terminal name on the Smartrise Controller. This simplifies the wiring between the controller and the car top while preventing errors. It also makes checking connections easier. 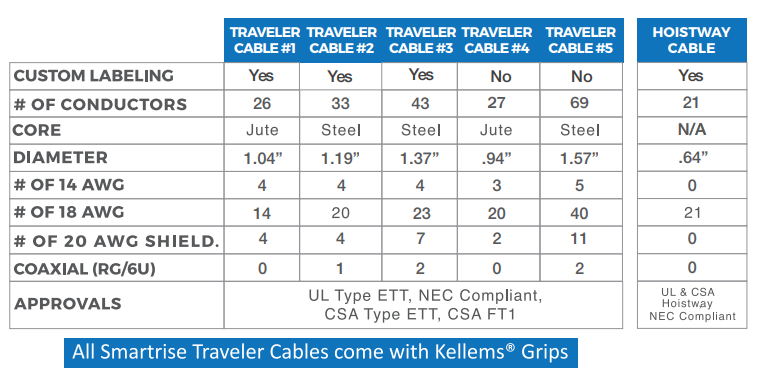 Our cables come with Kellems® Grips. 1. Complete a Smartrise AC Traction , DC Traction, or Hydraulic Engineering Data Form (EDF). 2. On page six, please complete the Traveler and Hoistway Cable section. You will need to specify lengths needed.